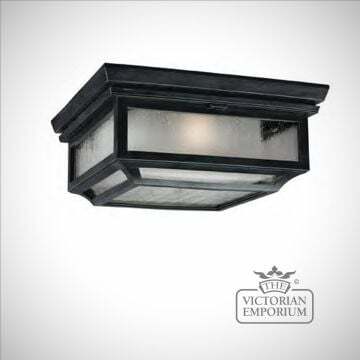 Our Exterior ceiling lights are good for porches and other covered areas to give a welcoming entrance to your home. 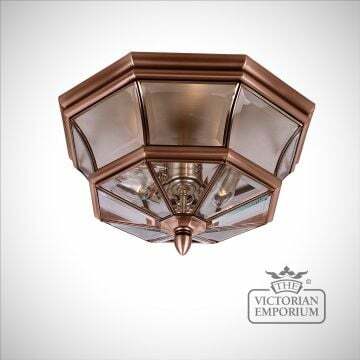 Features a classic design with bevelled glass in aged copper. 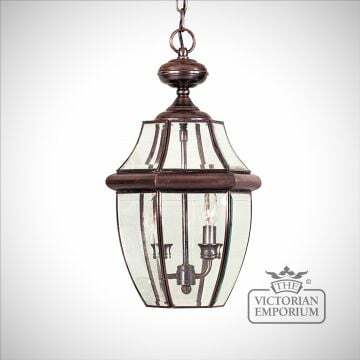 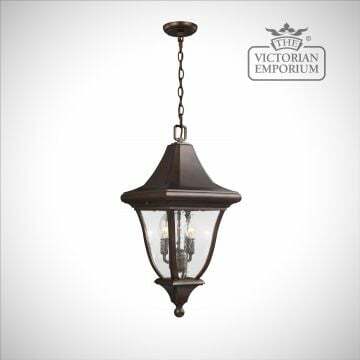 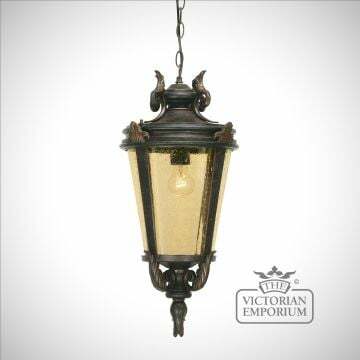 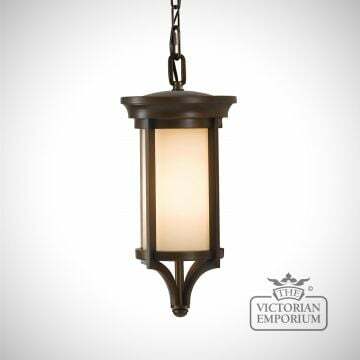 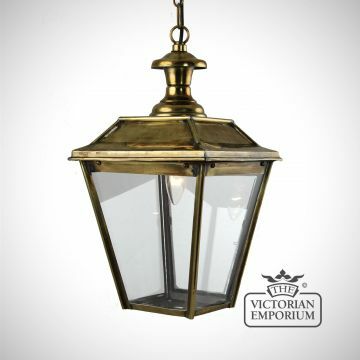 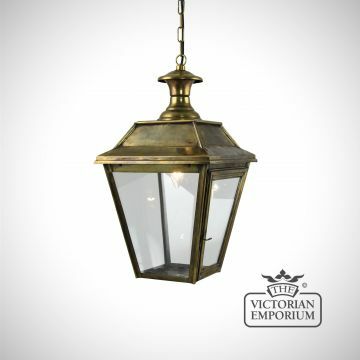 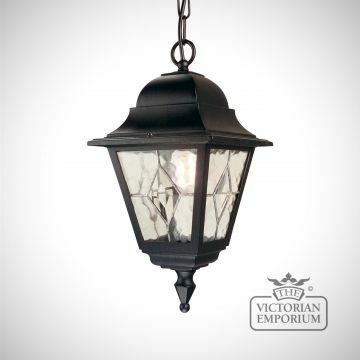 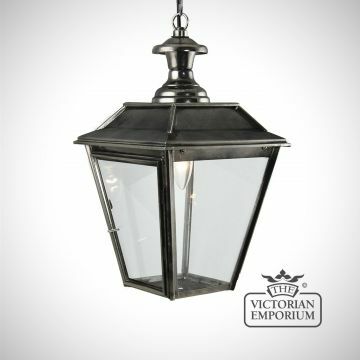 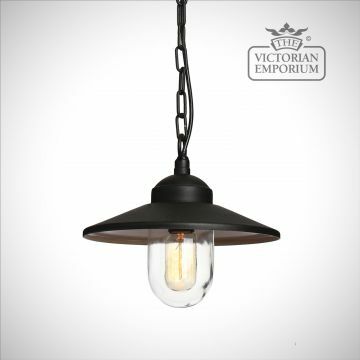 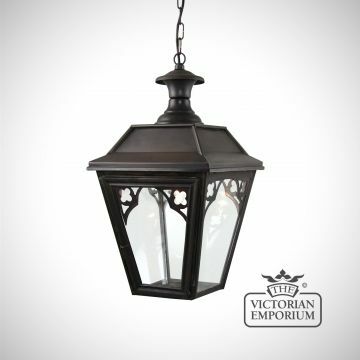 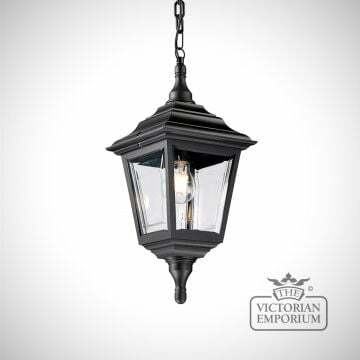 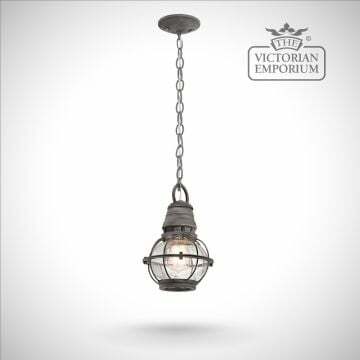 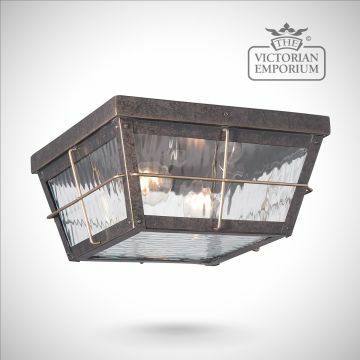 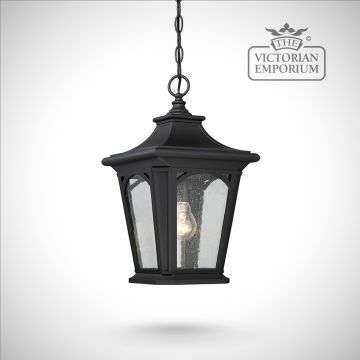 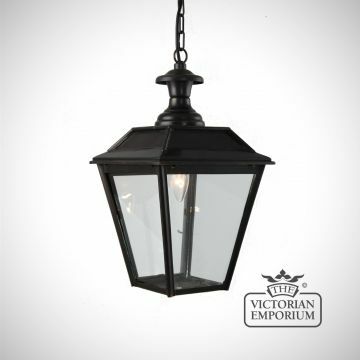 This is a classic Victorian gothic style ceiling lantern made from solid brass in an antique bronze finish. 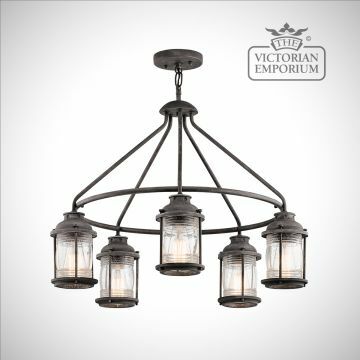 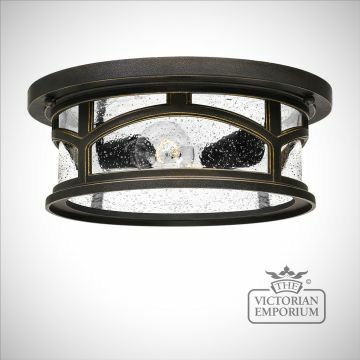 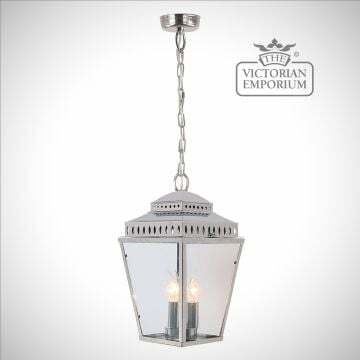 This outdoor chandelier has a simple design with traditional detailing in a bronze finish with clear seeded glass. 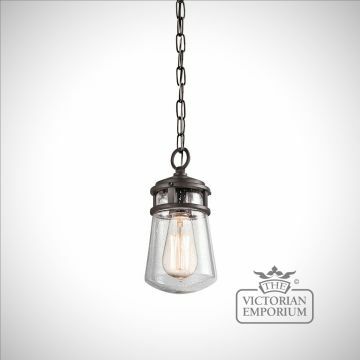 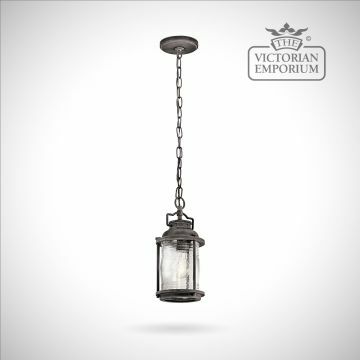 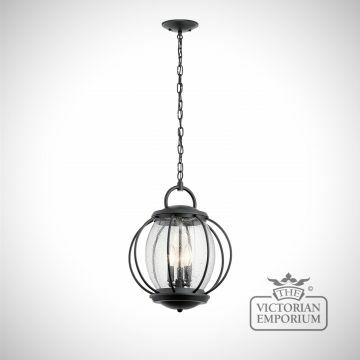 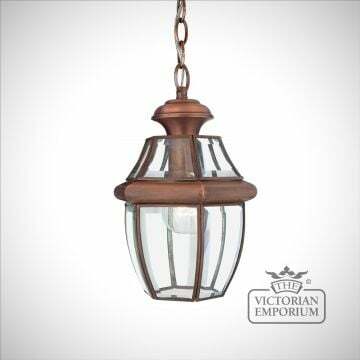 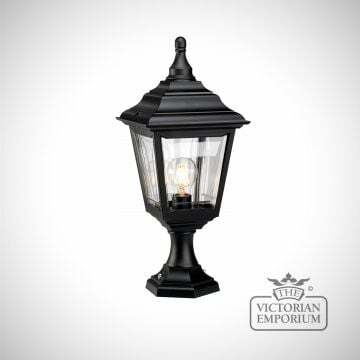 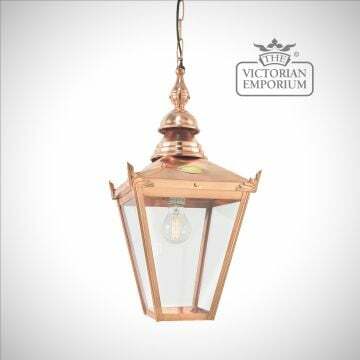 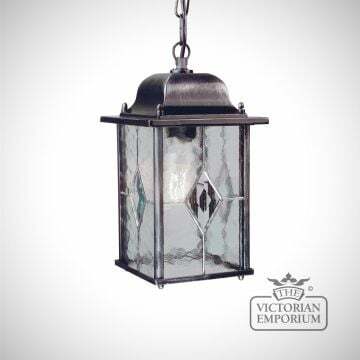 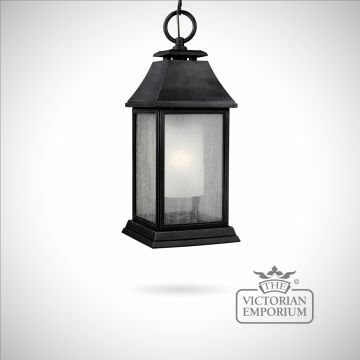 Classic copper chain lantern to match other items in the Chelsea range. 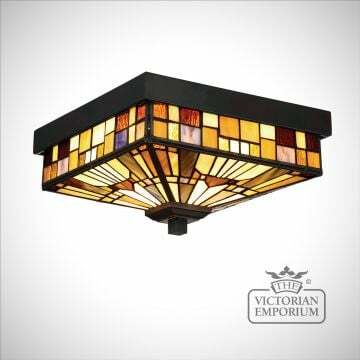 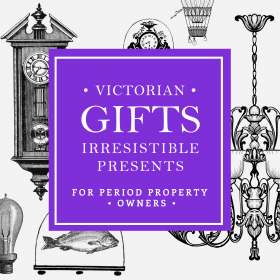 Stunning period design and vibrant colour. 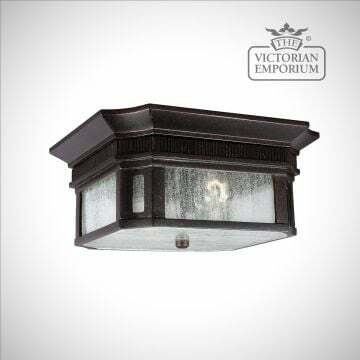 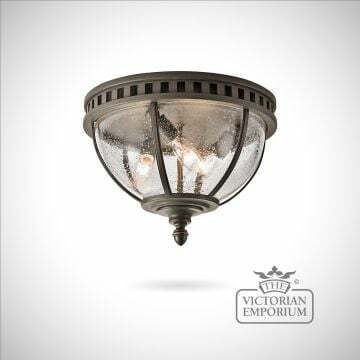 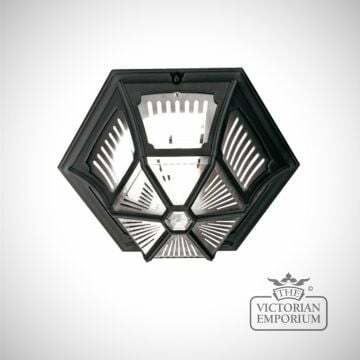 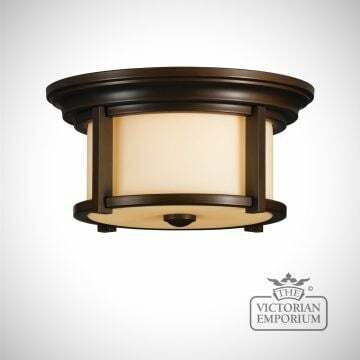 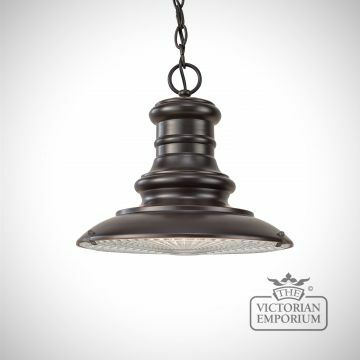 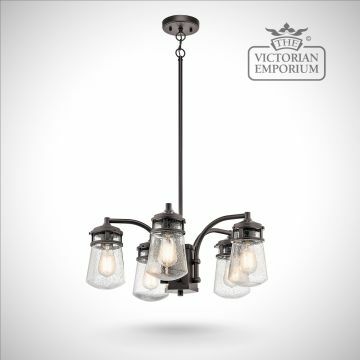 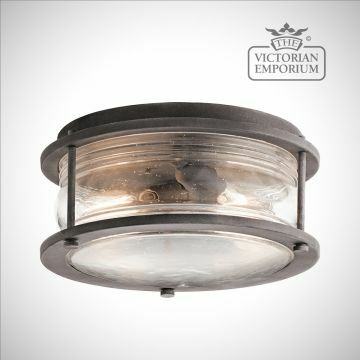 The Hallaron flush mount light incorporates a traditional Victorian inspired design in a dark bronze finish.